To most college students, summer vacation means trying new things and having a great time. 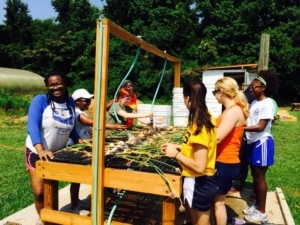 Interns at Queens University of Charlotte’s Summer in Service (SIS) program are no exception. 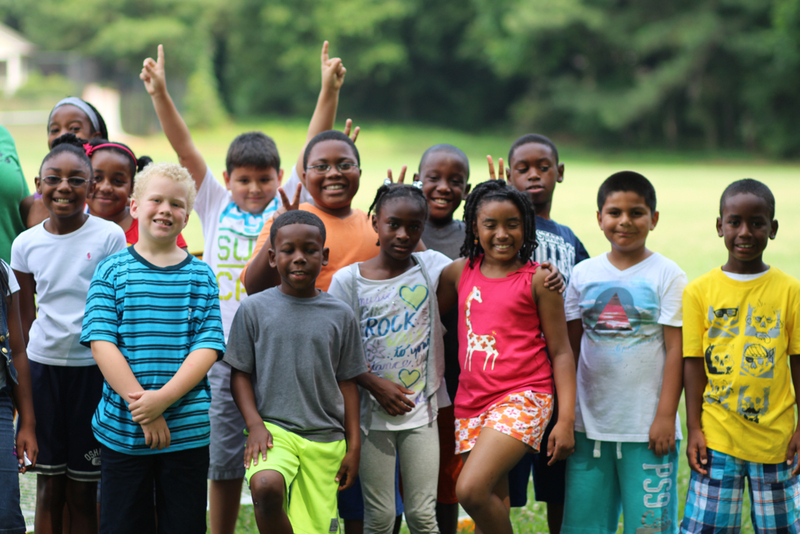 They simply find their summer fun in less expected places — working with children at a local Salvation Army site, writing grant applications for a tutoring program, giving aid to veterans, or getting their hands dirty in the community garden. The official motto of Queens — a member of the Sullivan network that bestows two Sullivan Awards each year — is “non ministrari sed ministrare” or “not to be served, but to serve.” SIS, as well as the Center for Active Citizenship, which runs the program, embody that motto by making service not just a mission, but a privilege. Students interested in the program — usually those considering nonprofit work after graduation—must apply and interview for the right to volunteer. Those selected are in for three months of learning and working with 13 diverse local nonprofits affiliated with the Center for Active Citizenship. Rather than choosing one, students rotate through different projects — often seeing them through from beginning to end — for several organizations. Interns work four days a week from 9:00 to 2:00—the internship, which is unpaid, is designed to allow students who need to work a paying job in addition the time they need to do so. SIS encourages interns to reflect on their experiences by requiring them to keep weekly blogs throughout the summer. The group is also asked to think creatively by planning a service project of their own. They then spend the final week of their internship implementing it. The experience is equal parts labor and education. While interns working on a Habitat for Humanity build, for example, might put in time swinging a hammer and hanging drywall, they also attend staff meetings and meet the executive director. There, they learn the true challenges of nonprofit work — budgeting concerns, volunteer management, and making due with limited resources, to name a few — and come to understand the bigger picture. 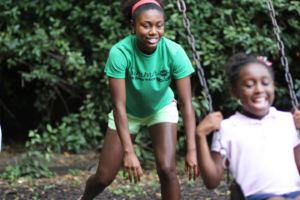 For 2015 intern Shelly Young, the experience was transformative, changing both her understanding of the meaning of service and her passion for the work. For many, that behind-the-scenes access can open career doors. Students have even landed jobs at some of the organizations in the program after participating. For all, the summer provides experience and connections that will serve them well in the nonprofit world. “This program has opened new doors for me that I would never have come across if it was not for SIS. It has been a life-changing experience,” Young says. 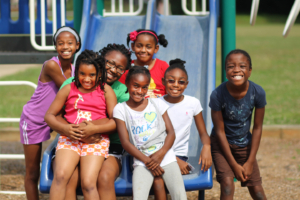 A program as unique as SIS is likely to change many lives, both among the students who learn the difficulty and the beauty of serving others and among the many citizens in need. As long as Queens continues to live by its motto, those citizens will feel the impact of its mission each summer and throughout the many long careers in service those summers will inspire. Saint Leo University Poll Finds Majority Favor Teaching Climate Change in S... Did you know?